Two large acquisitions in the outdoor space bookended November—Canada Goose bought Baffin to kick off the month and Callaway bought Jack Wolfskin to close it—while a flurry of M&A activity occurred in the days between. For this month’s M&A Roundup, SGB is highlighting those two deals because they should be transformative for both the buyers and the sellers, as well as their respective industries. Entering the footwear category with a bang, Canada Goose Holdings Inc. started November with the $24.8 million acquisition of Baffin that Canada Goose CEO Dani Reiss lauded on last month’s earnings conference call, about two weeks after the announcement. Meanwhile, Callaway Golf Co. just last week agreed to acquire Jack Wolfskin for about $476 million, giving Callaway a solid entrance into the outdoor apparel and packs categories with a popular European brand. Look for much more on the Callaway-Jack Wolfskin acquisition in an upcoming SGB “Behind The Deal” feature. Another noteworthy announcement last month in terms of website clicks was BSN Sports adding to its portfolio with the acquisition of Mountain Mesa Sports, Inc. dba B&H Sports, Grand Junction, CO. 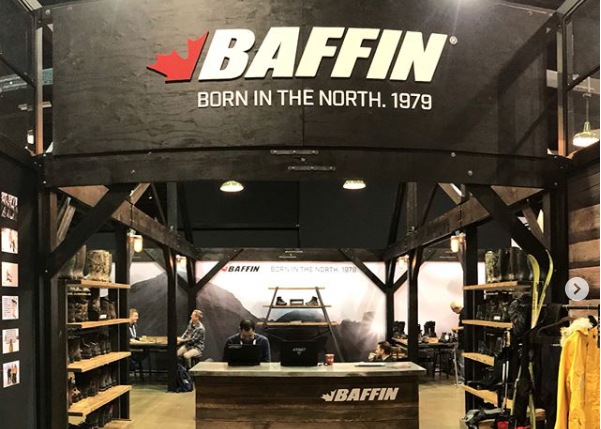 The 411 ­­– Canada Goose Holdings Inc. has acquired Baffin Inc., a Canadian designer and manufacturer of performance outdoor and industrial footwear, for C$32.5 million (US$24.8 million). The transaction, which is subject to customary closing adjustments, is being funded with available cash on hand and the issuance of C$1.5 million of restricted subordinate voting shares to the seller. The 411 ­­– Callaway Golf Co. announced that it has entered into an agreement to acquire Jack Wolfskin for €418 million, or approximately $476 million assuming a 1.140 Euro to US Dollar conversion rate, subject to certain purchase price adjustments. The acquisition furthers Callaway’s push into the active lifestyle category after its successful 2017 acquisitions of TravisMathew and Ogio. Jack Wolfskin is an international, premium outdoor apparel, footwear and equipment brand. The company designs premium products targeted at the active outdoor and urban outdoor customer categories. What’s next? ­­– The acquisition is expected to close in the first quarter of 2019, subject to regulatory approvals and other customary closing conditions. Callaway intends to finance the transaction with a $476 million term loan facility, led by BofA Merrill Lynch and JP Morgan Securities LLC. SGB will be posting a more comprehensive look at this deal in the coming days. The 411 ­­– BSN Sports, a division of Varsity Brands, announced that it has finalized the acquisition of Mountain Mesa Sports Inc., dba B&H Sports, based in Grand Junction, CO. B&H, which has served athletic and team Sports customers since 1980, is the leading distributor of team sports apparel and equipment in the Western Slope region of Colorado.